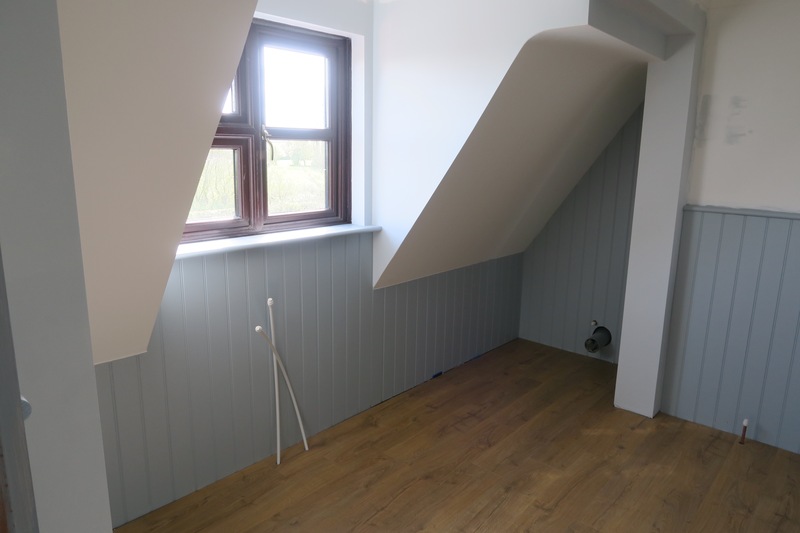 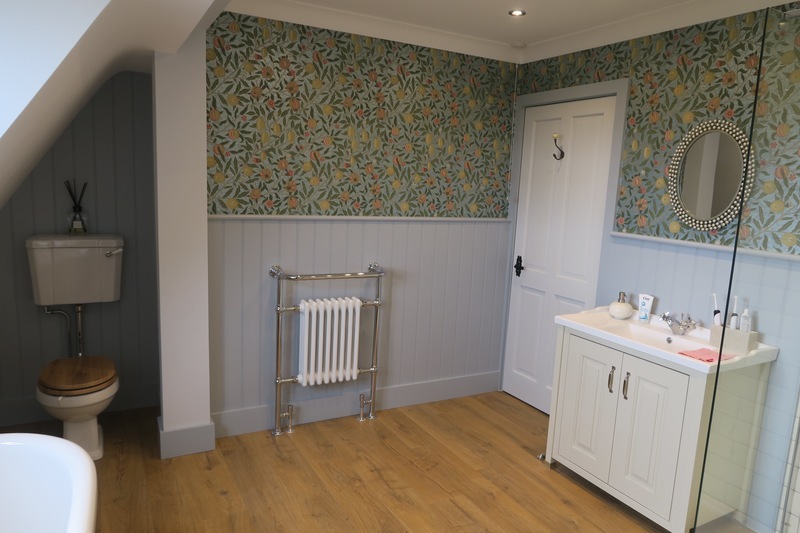 This detached property in Marks Tey required a farmhouse-inspired bathroom renovation that's in-keeping with its countryside surroundings, which meant wood cladding, ceramics, and patterned wallpaper. 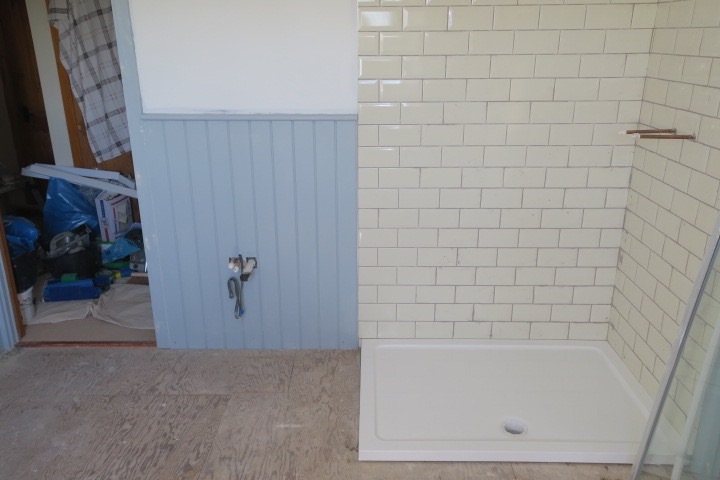 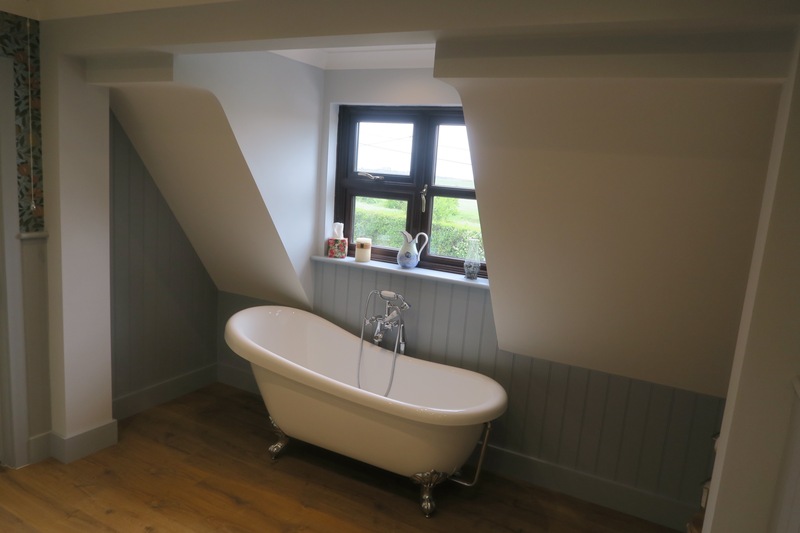 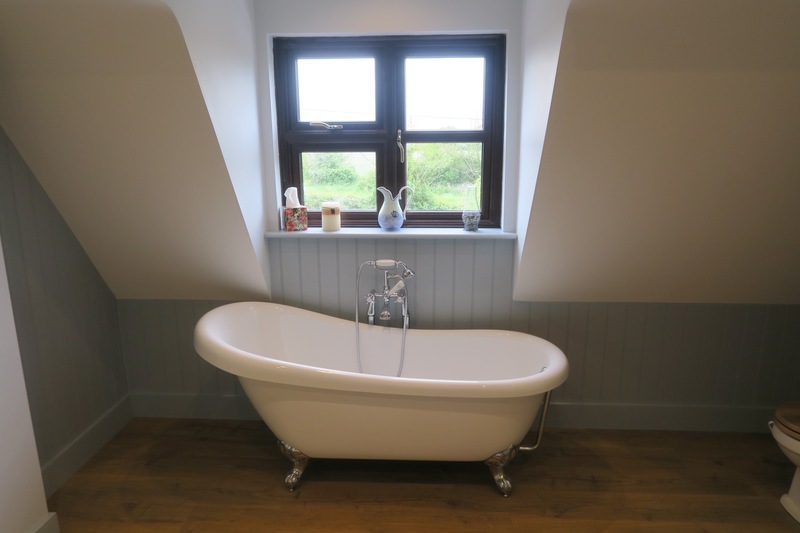 In this property, we removed the old bathroom suite and replaced it with a traditional suite comprising of a classic, deep bathtub, wooden-top toilet, and spacious storage and sink top that matches the bath. 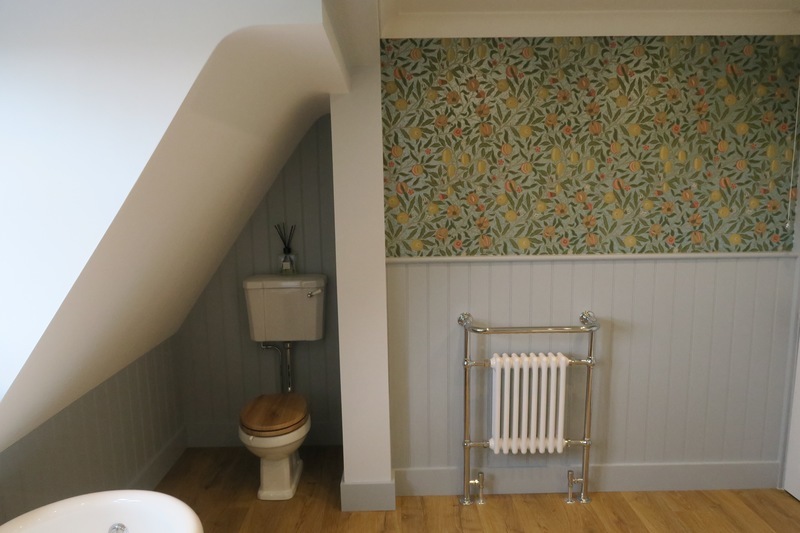 For the walls, working with the client's preferences, we chose 'duck egg blue' paint for the cladding and a complementing floral wallpaper for the upper part of the wall, which delivered a country-inspired finish.